Westmoreland rated V3G3 but Triple Point says impact minimal – Triple Point Social Housing REIT has made an announcement following the Regulatory Judgement published today by the Regulator of Social Housing in relation to Westmoreland Supported Housing Association. Westmoreland, a registered provider focused on the supported housing sector, has 1,379 social housing units under management and has recently been subject to a review by the Regulator, resulting in Westmoreland being given a ‘non-compliant’ rating of V3 for viability and G3 for governance. Triple Point says its investment manager has been in regular dialogue with Westmoreland, particularly with regard to the regulatory review. Westmoreland is working with advisers and the Regulator to produce and implement a financial and governance improvement action plan in order to address the Regulator’s concerns. Westmoreland has also voluntarily decided to appoint an independent board member and amend the governance arrangements of its board in order to address the Regulator’s concerns around conflicts of interest and is improving the quality of information provided to senior management. Triple Point Social Housing REIT has 17 assets leased to Westmoreland, the aggregate value of which, as at 30 September 2018, was £22.2m. Two of these properties are forward funded assets with an aggregate value of £5.9m which are in the process of being transferred to another registered provider. The fund instigated the transfer of these agreements to lease several weeks ago reflecting Westmoreland’s decision to focus on the consolidation of its existing portfolio. There has been no suggestion from Westmoreland that it won’t pay the rent it owes to the company. The board and the manager note that Westmoreland is actively engaging with the Regulator in order to put themselves into a position to achieve grading improvements in the future. Civitas Social Housing’s manager has issued a comment on the fund’s website. 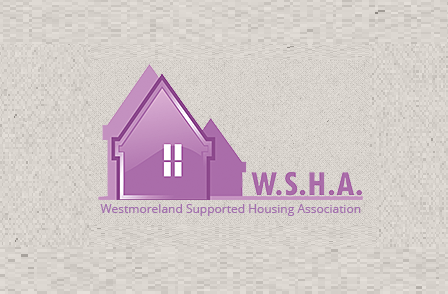 It says: “The RSH has just published its regulatory judgement on Westmoreland Supported Housing Association (“Westmoreland”) as part of the overall review highlighted above. It notes that Westmoreland has recently augmented its Board and is committed to further strengthening its governance arrangements as part of its ongoing work with the RSH. It also notes that its gradings of G3/V3 require improvement and that a plan agreed with the RSH is in place with the aim of achieving that as soon as possible. Westmoreland is one of the longest established housing associations within the Specialist Supported Housing sector having been set up as a housing provider in 2002. In recent years it has expanded to become a national organisation with more than 1,300 tenants across over 100 local authorities and it is now seeking to enhance its business practices to better manage and streamline its activities. In support of its growth, Westmoreland secured financing on what we understand are competitive and favourable terms and this remains in place today. It has also benefited from being able to obtain professional outsource services for certain administration functions such as rent and service charge collections from the various local authorities as well as asset management activities. These asset management activities include working with the relevant local authority in delivering back a small number of properties to a landlord, so they have the opportunity to enhance them. Whilst these are not Civitas properties Westmoreland has indicated they believe that this is being undertaken appropriately and respecting appropriate processes. Westmoreland has also provided assurance that they believe that matters relating to health and safety are up to date and should be considered compliant and that any potential for conflicts of interest are both fully disclosed and appropriately managed. On the basis of a fully invested portfolio (c. 35% gross leverage) Westmoreland represents approximately 17% of the rent roll of Civitas which is in payment in accordance with its lease terms.